Lais is a biologist and a certified tour guide with Tours by Locals. She grew up near the garden and often visited throughout her childhood. 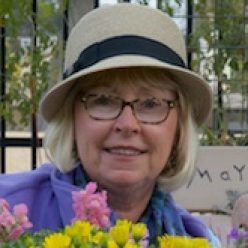 During her years as an educator, she brought her students here, conducting research of lichen growth on the royal palm walk, comparing the lichen as the trees progressed from the street to further back into the forest. Immediately we were excited to have her guide us around the garden. 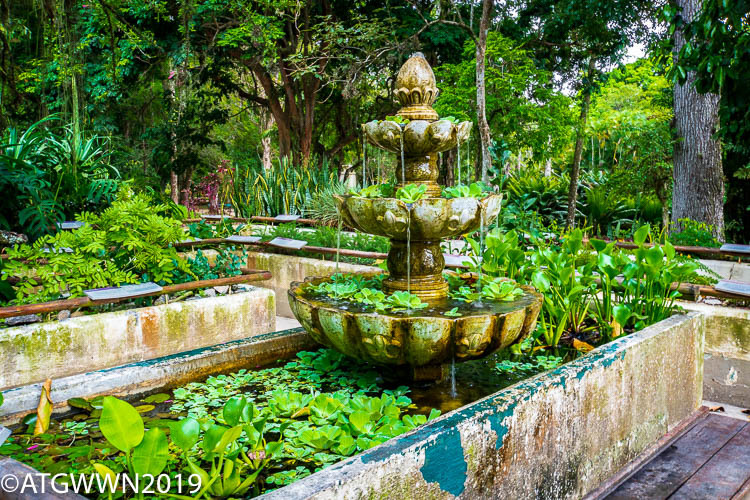 Built on the grounds of a former gun powder factory, the garden is now home to a collection of bromeliads, orchids, cactus, palm trees, and ironically, cannonball trees. The signature display is of an allee of royal palms crossing through the middle of the gardens. The royal palm seeds were once strictly controlled by the Portuguese royal family. Those favored by a visit from the Royals were gifted with seeds which would allow them to grow their own grand palms. 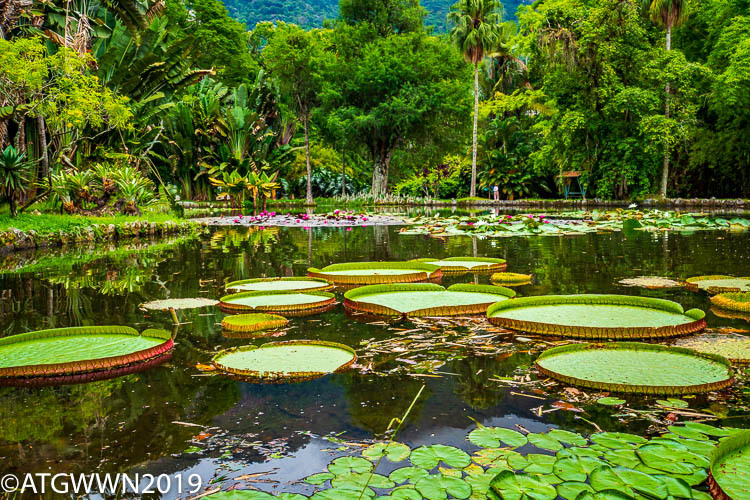 Here the lake is home to the Amazon waterlilies, which are now found in gardens around the world because they are so fascinating, yet something seems especially right to see them in their native environment. 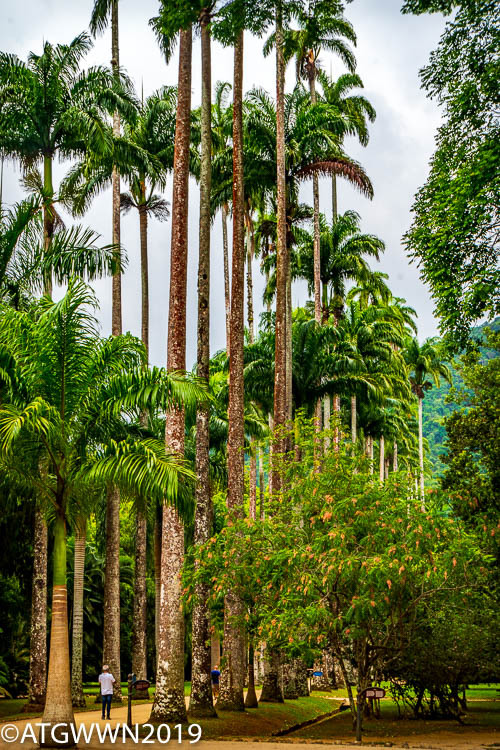 Brazil has strong conservation regulations regarding their native trees. Brazilwood once harvested nearly to extinction for the red dye it provided, is now protected and no longer needed for creating colors in textiles. However, it is still greatly prized for making bows for musical instruments. 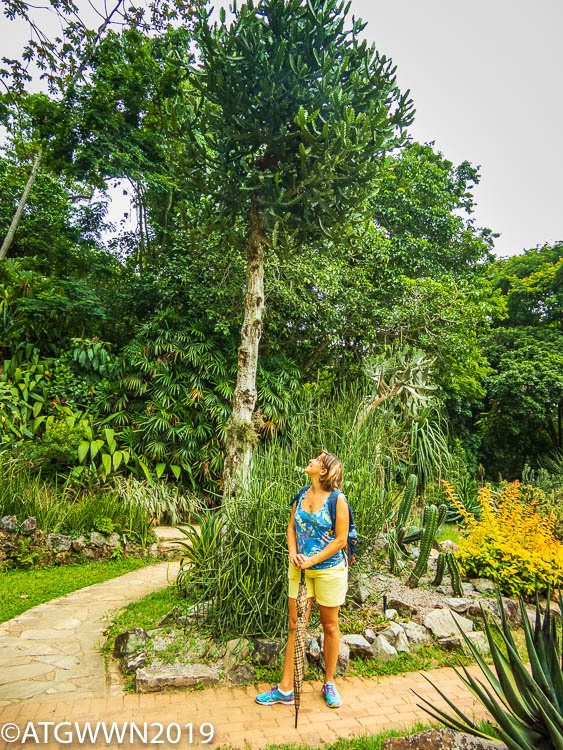 The 338 acre (137-hectares) garden is full of significant trees and plants with nearly 8000 species from Brazil and all over the world. 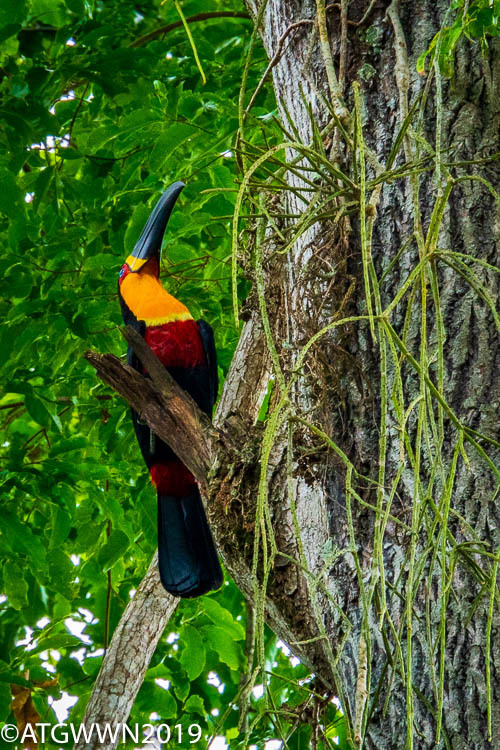 Bird watching is inevitable as toucans, parakeets, parrots, owls, swallows, and doves live among the canopy of trees. Marmoset monkeys with their long ringed tails chatter in the trees. 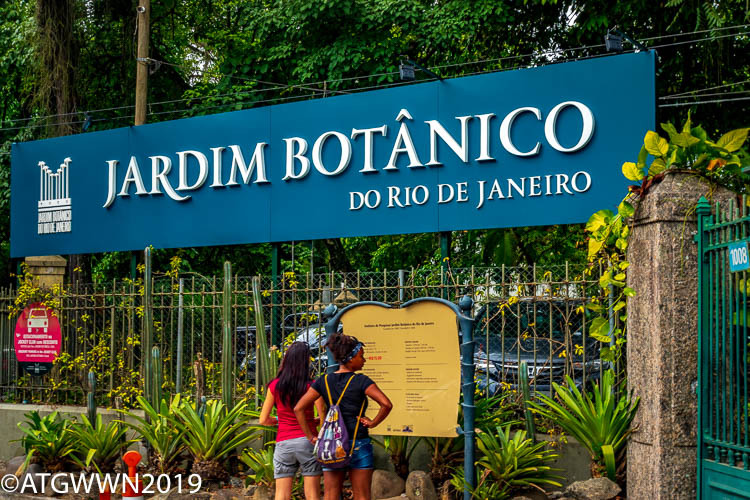 In the city, Rio Botanical Garden offers an extensive view of the plant life of this enormous country conveniently available to visitors who might think the only place to go would be deep in the Amazon. 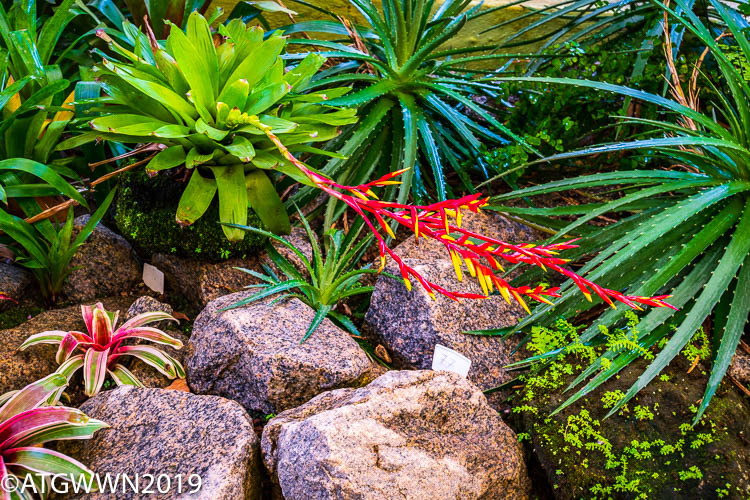 The garden adjoins Tijuca Forest a rainforest in the city. Lais explained the biodiversity of the Atlantic Coastal Forest is more extensive than the Amazon Rain Forest as the plants grow freely among the varied canopy providing better access to the sun. After a beautiful walk through the garden, we ended our day at the Museum of Tomorrow. Built on the waterfront and opened in Dec. 2015, it focuses on the Cosmos, Earth, Anthropocene*, Tomorrow, and Us. The exhibition of photographs showing geography around the world, the creativity of the people who inhabit it, and the projections of the quality of life going forward is both inspiring and troubling. We reluctantly headed back to our ship leaving behind a vibrant city with treasures and troubles like most great cities around the world. It was a fascinating and rewarding visit. It is summer time here, and as we sailed away, a fierce thunderstorm and pounding rain were doing its work of keeping the country lush and green. *“Anthropocene”—from anthropo, for “man,” and cene, for “new”—because human-kind has caused mass extinctions of plant and animal species, polluted the oceans and altered the atmosphere, among other lasting impacts. More colors and exotic views. Those Lilly pads are huge. 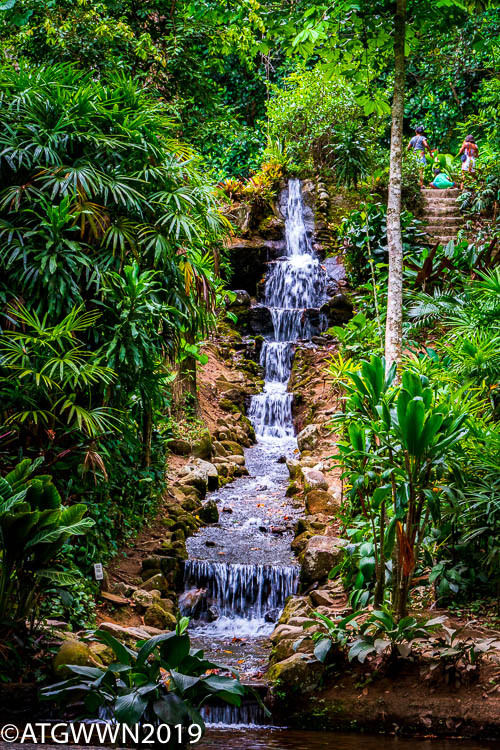 Such a beautiful waterfall. 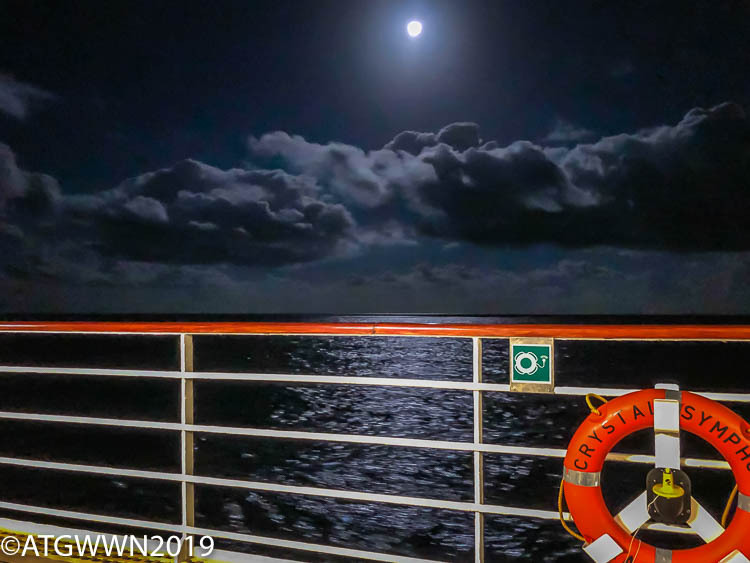 Then peaceful night on the ship. I feel like I have been on vacation. 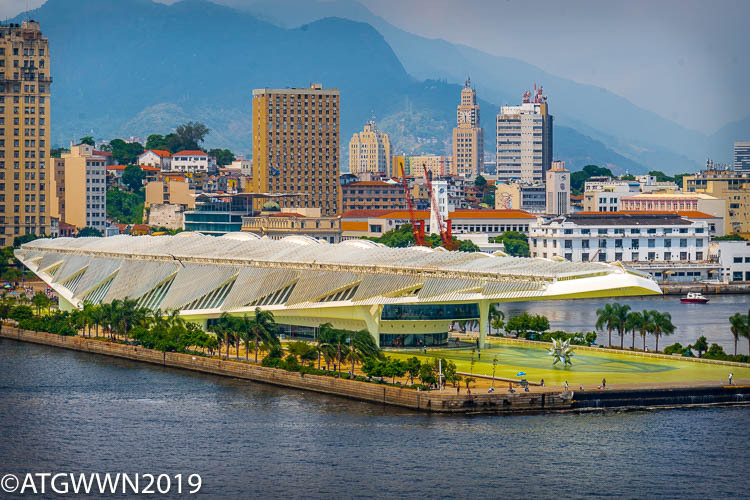 Previous Previous post: Day Two, Three Days in Rio!